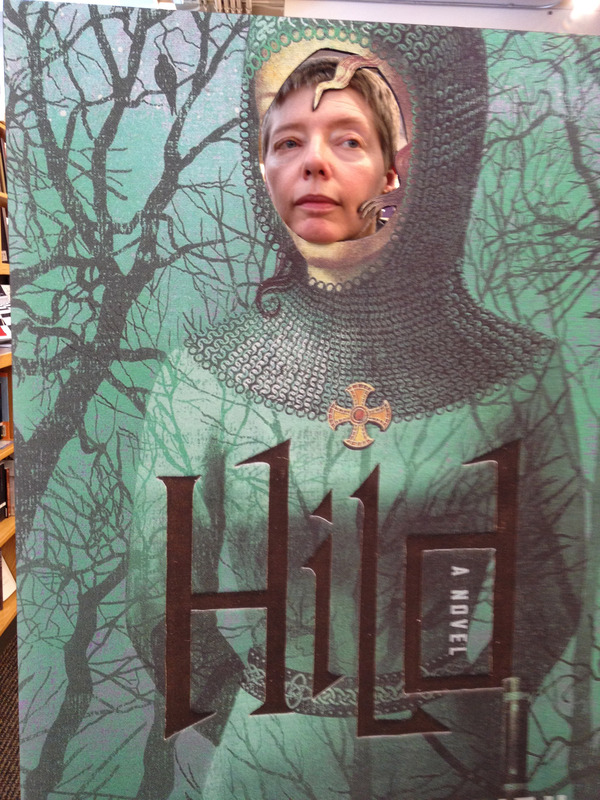 I couldn’t be at University Bookstore for Independent Bookstore Day when they had that great pretend-you’re-Hild poster board, so I popped in yesterday. (Yes, the same day a surgeon played shoot-em-up in my eyeball.) Kelley took the photo. Thanks to the fab Jenny, Pam, and Duane—who have promised beer and wine and a party the next time I read there. So now I’m looking for an excuse!